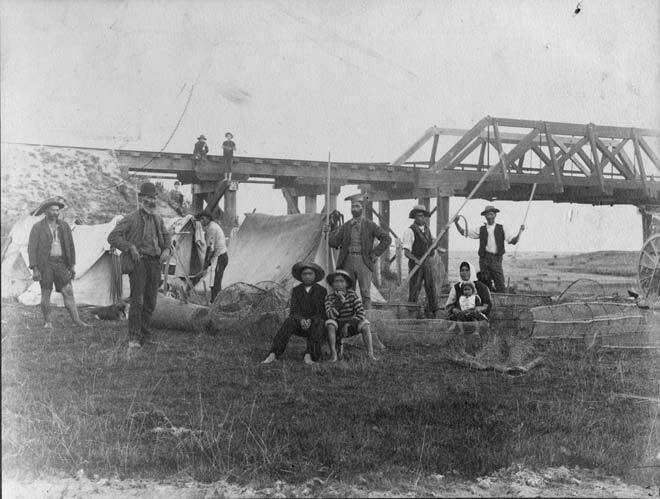 This Māori eeling camp is set up beside the creek leading into Washdyke Lagoon (Waitarakao) in South Canterbury around 1900. The men are holding matarau (eel spears). There are a number of hīnaki (eel pots), which would have been set in the creek and pulled out when a good catch had been made. Tuna (eel) was a vital food source in many areas.